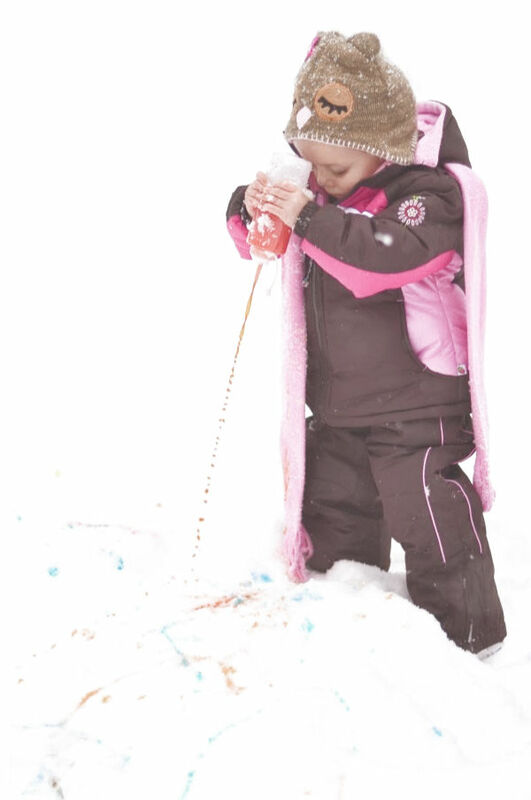 Painting the snow is one of our favorite winter activities! My girls love having a big canvas to create on, and I love that any mess is left outside when we are done. 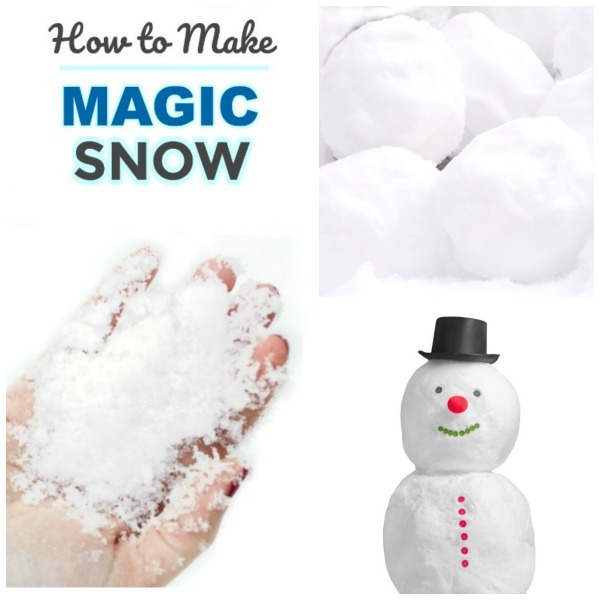 This 2-ingredient snow paint really is a win for everyone! 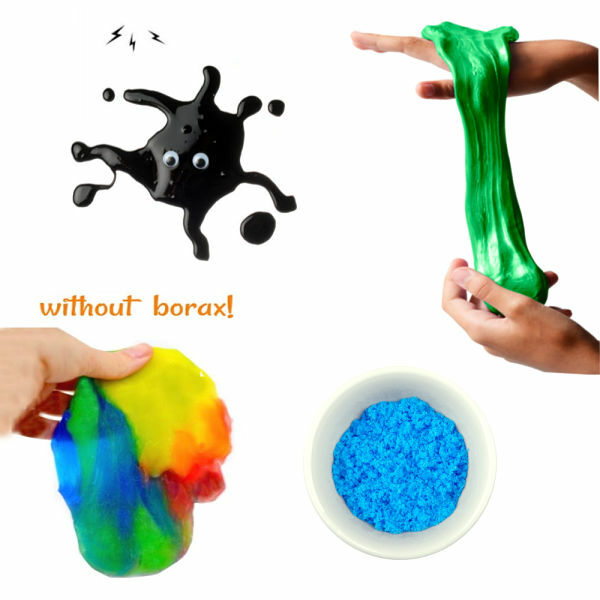 You won't believe how easy this stuff is to make! Rosie and Jewel asked me to fill their squirt bottles several times. 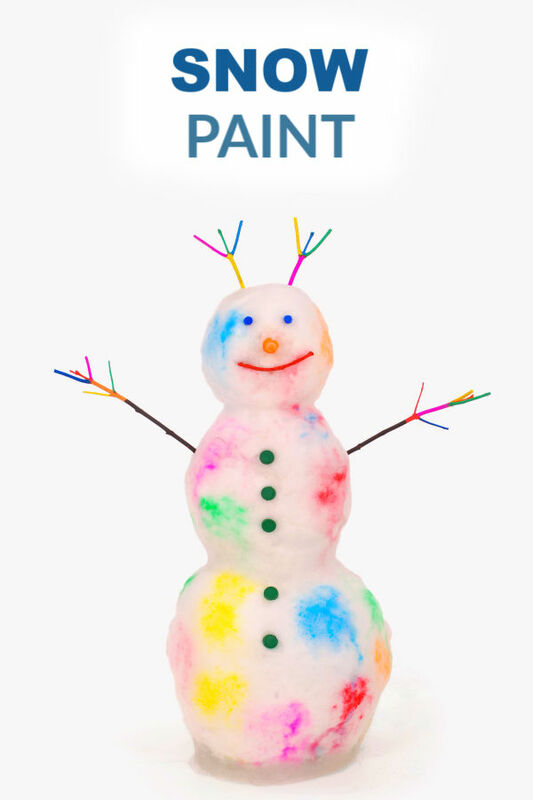 Because painting the snow is just too fun! 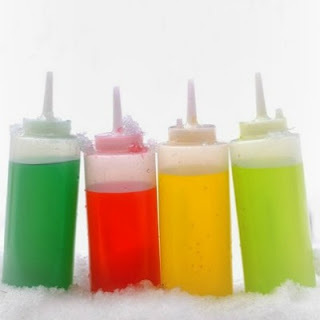 Combine several drops of food coloring with cold water in a squirt bottle and mix, using one bottle for each snow paint color that you wish to make. 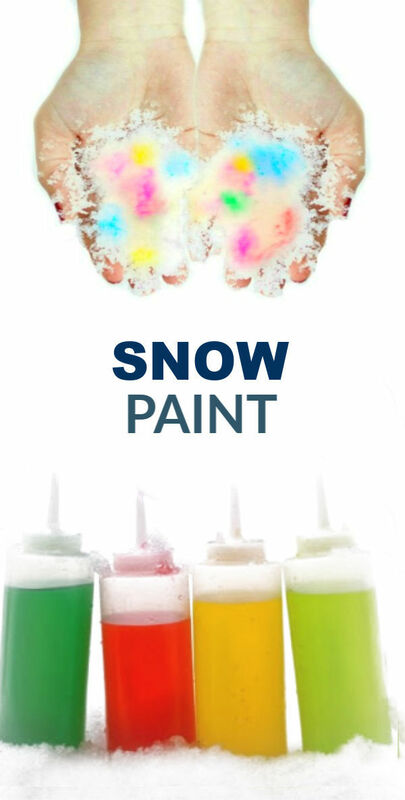 Now, head outside and paint the snow! 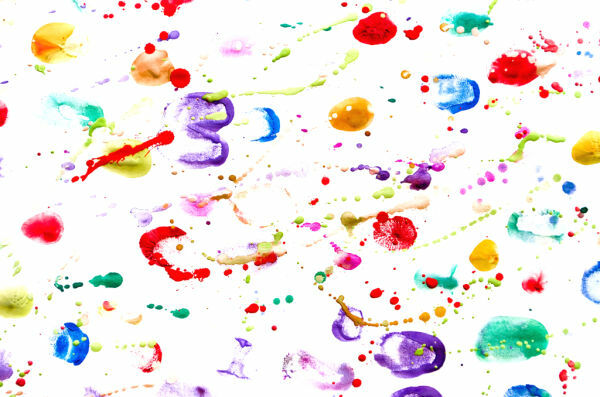 My girls loved squirting the paint to create colorful works of art in the snow! 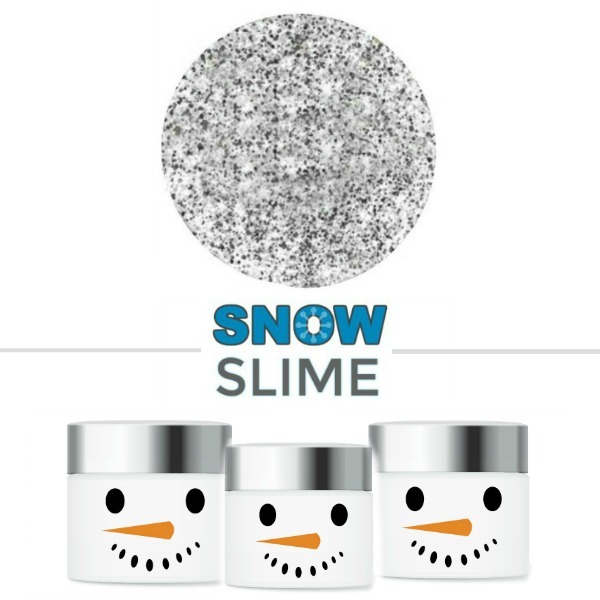 And they even used the paint to embellish their snowmen! I recommend using neon food coloring to get the most vibrant paint colors. 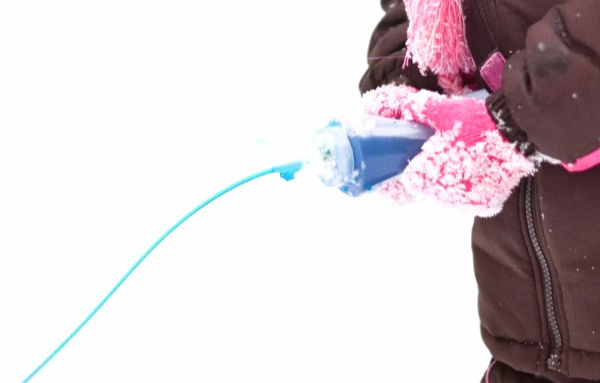 The squirt bottles that we used for this activity can be found here. 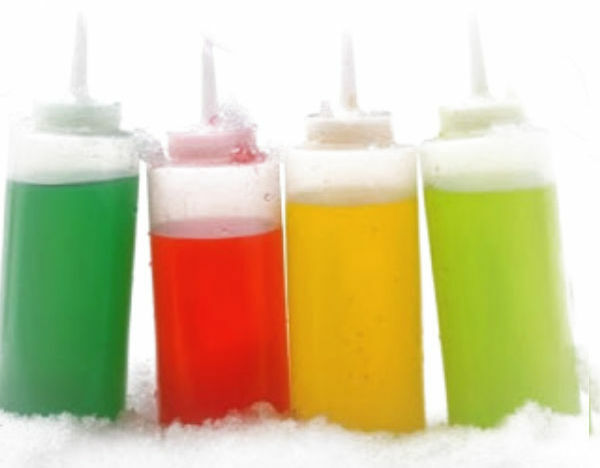 Use Kool-aid packets in place of food coloring to make scented snow paint!